Halloween is past and we're all zipping straight into the busiest time of the year. Our advice? Take a little time now, before the chaos begins, to pick out your little one's holiday outfit. One thing crossed off the list! 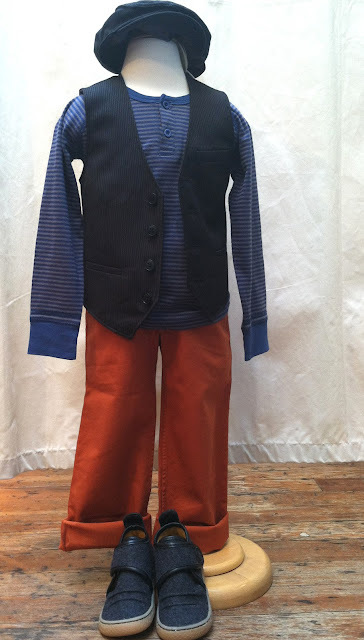 The Fiddlesticks Crew had lots of fun picking out our favorite holiday looks. We love outfits that are festive AND functional: full of pieces that will be worn again and again on their own, but come together to create a darling holiday look. Stop by the shop and we'll help you put together your very own holiday ensemble! Is there anything so lovely as the Liberty of London print on this Elephantito Floral Tunic Dress? Slip Wheat's toasty Cable Knit Cardigan on top, add Elephantito's red Patent Mary Janes, and she'll be ready for any holiday gala. Don't forget a cheerful red hairclip from Giddy Giddy, and some Silver Sparkle Tights from Ewers (or maybe some Polka Dot Tights from Morgan & Milo? It's hard to decide!). Who's the handsomest boy you know? Layer a cozy Appaman Stripe Henley in Marine under Appaman's oh-so-dapper Tailored Vest, and add a pop of color with Neige's Freddie Pant. Add in the Egg Baby Paper Boy Hat and Livie & Luca's wool Sherlock Shoe, and he'll be handsome from head to toe! 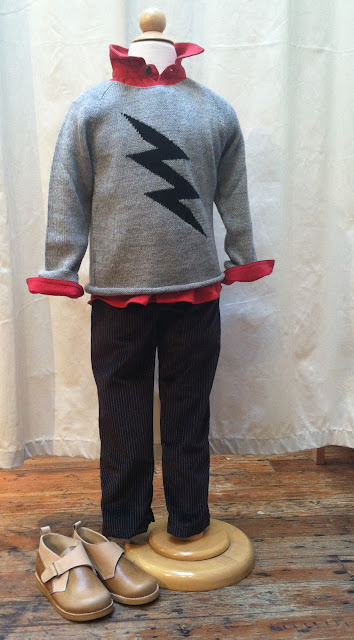 His holiday smile is bright as a flash of lightening - give him the Oeuf baby alpaca Lightening Sweater to match, with the Brave Button Shirt layered underneath for a pop of color. With Mademoiselle à Soho's signature Pinstripe Velvet Pants and Elephanito's leather Ethan Boot on the bottom, he'll be ready for a full month of festivities! As functional as it is festive, this easy-peasy outfit won't get in the way of gingerbread cookie eating OR present opening. 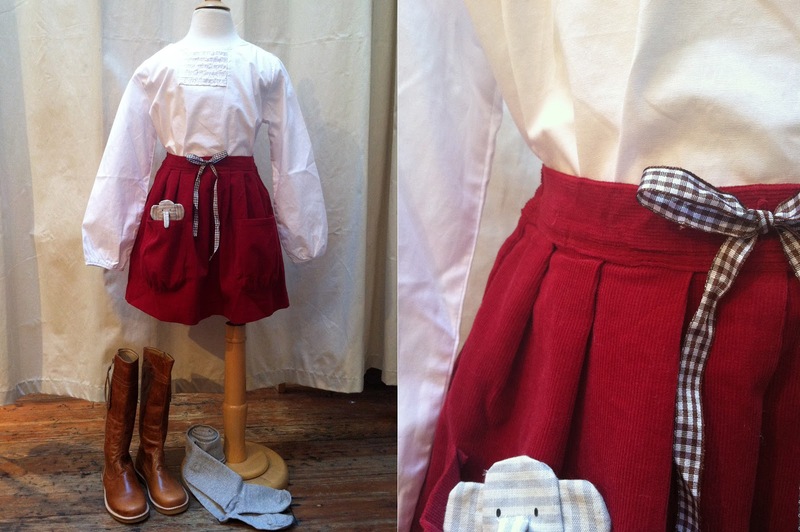 Match Olive Juice's White Autumn Blouse and Corduroy Bartley Skirt with Elephantito's camel brown Saddle Riding Boot. Add a sprinkle of sparkle with Ewer's Silver Tights and she's ready for a busy social calendar! 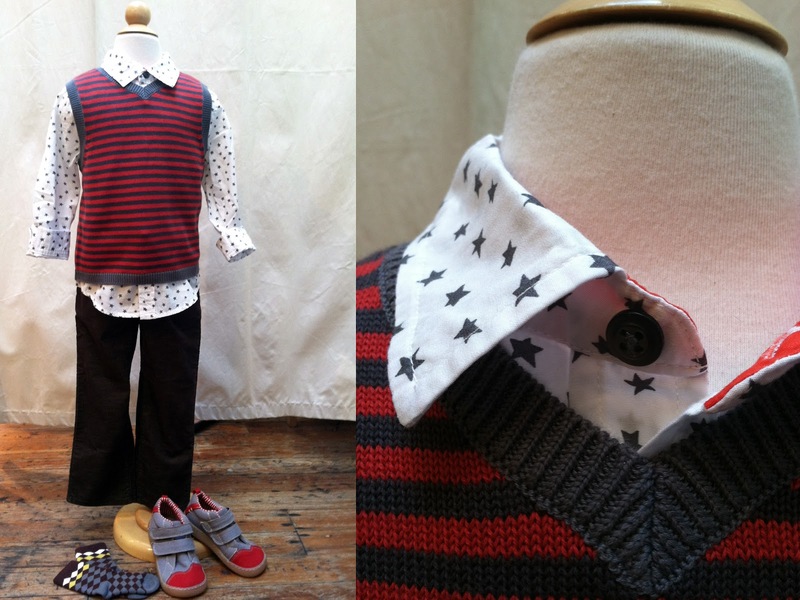 Dress your little gent in Tea Collection's Star Shirt, Scandi Stripe Sweater Vest, and jet black Total Twill Pants. Add Livie & Luca's Bernal Shoe, and a pair of dapper socks by See Kai Run. He'll be the star of the show! Matching big sister / little sister holiday outfits? Oh yes! Baby looks extra-adorable in the Tea Collection Twirl Party Dress and Sparkle Chic Sweater (pop See Kai Run's patent leather Havanna Mary Janes on those chubby little feet), while big sister sparkles in the Seeing Stars Party Dress layered over the Sparkle Stripe Tee in vermillion, with Elephantito's silver Sabrina Shoes on her feet. We're so excited for a twirly, twinkly, bright holiday season with you!